Start at Sandside Bay and walk westward for 12 kms approximately along a beautiful stretch of coastline to Melvich. The bird life is abundant and the wild flowers will be in full bloom. This is an 8.00am start. The walk starts at Garbat on the A835 Garve to Ullapool road. Distance is 22 km and can take 6-10 hours depending on your fitness. This is an 8.00am start. 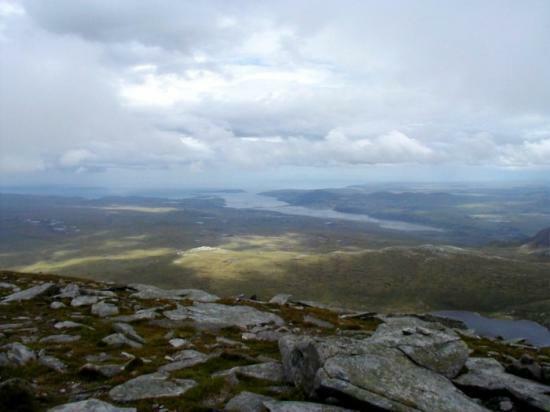 Ben Hee 873 metres high is situated approximately 20 miles north west of Lairg several miles off the A838. Situated just of the A9 at Lothbeg on the old road to Kildonan this beautiful and peaceful glen offers some interesting walks. A walk along part of the northern coastline of Caithness taking in Scotland�s Haven where the seal colony should be in its full breeding cycle.15 kms approximately. A walk of 12 kms approximately into Broubster Forest and around Loch Saorach and Loch Thormaid. A coastal walk which ranges from ground level walking to spectacular high cliffs.12 kms approximately. A 10 km walk along the Caithness coast passing the historic village of Badbea. A walk of 15 kms approximately up this lovely strath in the spring time. Start at the old bridge heading for Achnaclyth past the cemetery. A small hill of 517 metres. Access is gained on the A897 between Helmsdale and Kinbrace at what remains of Suisgill Lodge. A walk of 18 kms approximately over rough heather and boggy ground. A boat trip to Stroma and a walk round the island. No date has been arranged yet. Information on date, times and cost will be sent out later.